Connor McDonald is a Oracle Developer Advocate for Oracle Corporation. Over the past 25 years, he has worked with systems in Australia, the United Kingdom, Southeast Asia, Western Europe, and the United States. 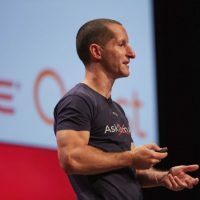 He has co-authored three books and has been a popular speaker at Oracle conferences around the world, specializing in topics regarding the database engine and PL/SQL. He has three times won the Best Speaker award by the UK Oracle User Group, and was awarded a Lifetime Achievement award by the UKOUG in 2016. A huge amount of changes were implemented in the optimizer for Oracle 12c/18c. But 'change' is often synonymous with 'risk'. This session will get you prepared for the changes ahead, and give you tips for ensuring a smooth upgrade from 11g. No-one becomes an app developer to spend their days doing data processing. We do it to explore complex algorithms, build beautiful applications, and deliver fantastic solutions for our customers. But so often we don't ever get to realize that dream. We're too busy dealing with ORMs and hand-coding all the nuts and bolts of data processing so we're left with precious little time for anything else. There is a better way. By expanding our knowledge of SQL facilities, we can write a lot less middle-tier code, and get performance benefits as an added bonus. This session highlights some SQL techniques to solve problems that would otherwise require a lot of complex coding, freeing up your time to focus on the delivery of great applications. Whilst most fanfare on 12.2/18c is about cloud-first, sharding, and autonomous database,there is a multitude of other enhancements that DBAs and Developers would benefit from immediately. This session focuses on the lesser known but still critical new features and improvements in 12.2/18c.